← Was the Tower of Babel a Ziggurat? Luther’s understanding of the law was a keystone of his theology, and of much Protestant theology until the present century. In its essence it followed a view which originated in medieval Roman Catholicism (it is not found in first millennium Catholicism or Eastern Orthodoxy) Was this whole development simply wrong? That it was in fact wrong has become a central axiom for a majority of contemporary Pauline scholars in our generation (see further below) -a development which took place primarily in the last half-century (since 1977, gathering momentum like a veritable academic snowball. If one can accept the notion -and it is difficult on academic grounds not to- that primary sources by Jews describing what their own religion was like before, around, and after the time of Christ are a better index of what Jews actually believed than majorly conflicting medieval Roman Catholic, Lutheran, and later accounts which first appeared in the middle ages, the conclusion might well appear on the order of a no-brainer. “It is easy, when reading Luther, to concentrate on the theological argument with the Roman Catholic Church in which he is so energetically engaged and to miss a subtle hermeneutical impropriety in which the great Reformer and theologian has indulged. 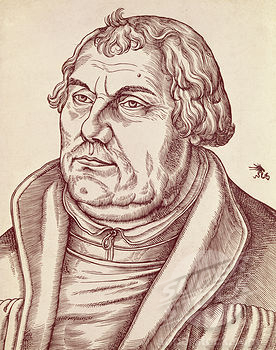 Especially in his lectures on Galatians, but elsewhere as well, Luther assumes that the Jews against whose view of the law Paul was arguing held the same theology of justification as the medieval Roman Catholic Church. This hermeneutical error would be perpetuated over the next four centuries and eventually serve as the organizing principle for mountains of Protestant scholarship on the Old Testament and ancient Judaism. “It was frequently assumed among Old Testament scholars, for example, that at least from the period of the restoration of the Jews to Israel under Ezra, the history of Judaism was a story of spiraling degeneracy into legalism, hypocrisy, and lack of compassion. Similarly, when Protestant scholars discussed rabbinic Judaism they tended to assume Paul’s polemic against Judaism interpreted through the lens of Luther’s reaction against Roman Catholicism provided a sound basis for systematizing the religion of the Mishnah, Talmud and related Jewish writings of a later era. F. Weber’s “popular” description of Talmudic theology (1880) is typical. Keeping the many and peculiar commands of the Law, said Weber, was the means by which the rabbis believed salvation was earned. The ordinary rabbi, therefore, believed that the goal of rabbinic religion was the search for reward on the basis of merit, that God was a stern judge, and that the approaching death brought with it the fear of losing salvation due to a lack of merit. “A large part of this portrait of ancient Judaism found its way into the interpretations of the NT generally, and especially into expositions of Paul’s writings. Widely used commentaries such as that of W. Sanday and A. Headlam on Romans (reprinted seventeen times fro 1895 to 1952), and influential books about the NT, such as R. Bultmann’s popular description of Primitive Christianity in Its Contemporary Setting (1949, ET 1956) used this picture of Judaism as a backdrop for their explanations of NT theology. In Sanday and Heeadlam’s commentary, for example, Paul’s struggle with the law in Romans 7:7-25, which they take to be a portrait of his pre-conversion existence, is interpreted as the natural consequence of the “stern” Rabbinic view of the Law, which, they claim, “was fatal to peace of mind” (Sanday and Headlam, 189). Similarly, Bultmann, in a section of Primitive Christianity titled “Jewish Legalism” claimed that the Jewish view of the Law in the first century made “radical obedience” to God impossible because it held that once a certain list of commandments had been kept, one was in the clear and was free to do anything (Bultmann, 69). In addition, said Bultmann, it taught that God would punish sins strictly according to the law of retribution, that salvation was never a certainty, and that even repentance and faith could be transformed into meritorious works (Bultmann, 69-71). “Montifeore’s critique of the Lutheran caricature of Judaism at first fell on deaf ears, but through the work of several influential scholars over the next seventy years began to gain the ascendancy not only in Jewish circles, but among nearly everyone working in the field. In 1927 G. F. Moore published a two-volume study of rabbinic theology which, in contrast to Weber’s work, emphasized the role of grace, forgiveness and repentance in the earliest literature of rabbinic religion. This was followed in 1948 by W. D. Davie’s detailed study of Paul and Rabbinic Judaism in which Davies argued that Paul’s doctrine of justification by faith apart from the Law was only one metaphor among many, probably developed first in the heat of argument (Davies, 71-73), and that the apostle’s letters revealed simply a Pharisee for whom the messianic age had dawned (Davies, 71-73). “Without question, however, the pivotal event in bringing Montefiore’s complaint from the backwater to main stream was the publication in 1977 of E. P. Sander’s Paul and Palestinian Judaism. Sander’s book was so powerful not because its approach was original but because Sanders addressed pointedly and exhaustively the distorted view of Judaism which Lutheran scholarship, and those under its influence, had produced. Sanders made his way step by step through the most influential works of modern NT scholarship in order to show that they departed from ancient Judaism as a religion in which salvation was achieved by meritorious achievement. He then embarked on a lengthy journey through not only the rabbinic literature of the first 200 years after Christ but through the Qumran literature, the apocrypha and the pseudepigrapha as well to determine how those documents answer the question. What must one do to be saved? “His conclusion was that in all of this ancient Jewish literature, with the exception of the atypical document 4 Ezra, salvation came not through achieving a certain number of meritorious works but through belonging to the covenant people of God. The proper response to the covenant was, of course, obedience, but means of atonement were readily available for those who failed to obey fully. This “pattern of religion” Sanders called “covenantal nomism” (Sanders 1977, 75; 1992, 262-78), and, he claimed, it bears little resemblance to the description of Jewish “soteriology” in most handbooks of Protestant biblical scholarship. “Largely as a result of this important work, most students of Pauline theology now believe that Montefiore, Sanders, and other dissenters from the classic Protestant perspective have proven their case…” (F. Thielman, “Law” in Gerald F. Hawthorne, Ralph P. Martin, and Daniel G. Reid, eds., Dictionary of Paul and His Letters: A Compendium of Contemporary Biblical Scholarship (1993). BIBLIOGRAPHY. R. Bultmann, Primitive Christianity in Its Contemporary Setting (Philadelphia: Fortress, 1956); W. D. Davies, Paul and Rabbinic Judaism : Some Rabbinic Elements in Pauline Theology (4th ed. ; Philadelphia: Fortress, 1980); T. J. Deidun, New Covenant Morality in Paul (AnBib 89; Rome: Biblical Institute, 1981); J. D. G. Dunn, Jesus, Paul, and the Law: Studies in Mark and Galatians (Louisville: Westminster/John Knox, 1990); R. B. Hays, Echoes of Scripture in the Letters of Paul (New Haven: Yale University, 1989); M. Hengel, The Zealots (Edinburgh: T. & T. Clark, 1989); H. Hübner, Law in Paul’s Thought (Edinburgh: T. & T. Clark, 1984); H. Maccoby, Paul and Hellenism (Philadelphia: Trinity Press International, 1991); C. G. Montefiore, “First Impressions of Paul,” JQR 6 (1894) 428–75; idem, “Rabbinic Judaism and the Epistles of St. Paul,” JQR 13 (1900–1901) 161–217; G. F. Moore, Judaism in the First Centuries of the Christian Era: The Age of the Tannaim (2 vols. ; Cambridge, MA: Harvard University, 1927); H. Räisänen, Paul and the Law (WUNT 29; Tübingen: J. C. B. Mohr, 1983); idem, The Torah and Christ: Essays in German and English on the Problem of the Law in Early Christianity (SESJ; Helsinki: Finnish Exegetical Society, 1986); W. Sanday and A. C. Headlam, A Critical and Exegetical Commentary on the Epistle to the Romans (ICC; 5th ed; Edinburgh: T. & T. Clark, 1902); E. P. Sanders, Judaism : Practice and Belief 63BCE-66CE (Philadelphia: Trinity Press International, 1992); idem, Paul and Palestinian Judaism : A Comparison of Patterns of Religion (Philadelphia: Fortress, 1977); idem, Paul, the Law, and the Jewish People (Philadelphia: Fortress, 1983); idem, Paul (New York: Oxford University Press, 1991); S. Sandmel, The Genius of Paul: A Study in History (Philadelphia: Fortress, 1979); idem, Judaism and Christian Beginnings (New York: Oxford University Press, 1978); F. Thielman, From Plight to Solution: A Jewish Framework for Understanding Paul’s View of the Law in Galatians and Romans (NovTSup 61; Leiden: E. J. Brill, 1989); P. J. Tomson, Paul and the Jewish Law: Halakah in the Letters of the Apostle to the Gentiles (CRINT 3.1; Minneapolis: Fortress, 1990); F. Weber, Jüdische Theologie auf Grund des Talmud und verwandter Schriften, gemeinfasslich dargestellt (2d ed. ; Leipzig: Dörffling & Franke, 1897; 1st ed., 1880); A. J. M. Wedderburn, The Reasons for Romans (Edinburgh: T. & T. Clark, 1988); S. Westerholm, Israel’s Law and the Church’s Faith: Paul and His Recent Interpreters (Grand Rapids: Eerdmans, 1988); N. T. Wright, The Climax of the Covenant: Christ and the Law in Pauline Theology (Edinburgh: T. & T. Clark, 1991). Great article. I would supplement it with a discussion of how the New Perspective addresses the question of what in fact St Paul was polemicizing against in Galatians and Romans. Thanks Marcello, I may do just that. That Paul’s Judaizing opponents e.g. in Acts 15 and Galatians and elsewhere were demanding Gentile Christians must be circumcised or remain outside of the economy of salvation tells us these opponents were requiring more than even most Jews of the time would have of their own potential converts (to Judaism), and who would not have on the main claimed something so radical as what seems to have been a *subsect* of the Pharisees affirming no one who was not circumcised could be right with God (as the Galatians had been told). Most Rabbis, in fact, taught that a person could find acceptance with God by becoming what was called a “Godfearer,” i.e. someone who followed the laws known from Noah (before Moses), but who did not become circumcised and become a full blown Jewish convert (= “proselyte”). As a result of this, there was a disparity among male and female converts to Judaism; since women didn’t have to be circumcised most of them became proselytes, whereas men were far more likely to opt for the less physically painful -and perhaps less personally embarrassing- Godfearer option! (hardly surprising when we compare some moderns who are hesitant at lesser prospects like being immersed in water!). But the point is that male Gentile converts to Judaism weren’t even being told what the Judaizers were telling Gentile Christians they absolutely had to do -either regarding their private parts *or* regarding observation of all of the law of Moses. Whereas Luther thought Paul was opposing something essentially akin to medieval Catholicism’s merit theology (cf. article above) the Judaizers were in fact claiming something quite different, namely that Christians had to become full-blown Jews to be saved, including being circumcised and following everything in the law of Moses (when Galatians speaks of the “law” it is referring to the “law of Moses”). The Galatians weren’t just being told to “add good behavior to their Christian repertoire” (that is done throughout the NT! -some 40% of the NT is in fact exhortation material urging Christians to avoid idolatry, to love, to do works of faith); rather they were making the audacious and atypically Jewish claim that Gentile Christians had to follow all the works of the law of Moses and be circumcised to be saved. The message of the Judaizers was “become Jews or bust,” not “behave yourselves properly and stop behaving improperly and so earn your salvation.” This is, of course, one view, and the NPP (or NPPs) has/have others; perhaps I can dedicate a post to that. It does seem like things are converging more and more to a view consonant with paleo-orthodox perspectives these days (cf. also the resurgence of academic support for Christus Victor by N. T. Wright and others, for an essentially Orthodox view of the afterlife -which actually sounds “novel” to ears in the Evangelical/Protestant West), etc. The NPPs of course are a bit more *variegated;* the point of this particular post was to emphasize something which pretty much all major contemporary Pauline scholars are *united* on: Luther was in fact wrong about something very central which has far-reaching ramifications for Protestant Christian theology in the West generally (to the extent that it is even reasonably self-aware academically/exegetically). BTW, I like your blog and will be returning to it! Thanks David, that is very helpful. And I’ll be sure to be reading your stuff here regularly as well! That was very informative. Thanks! !